15 Useful Kitchen Gadgets For Your Kitchen - Part 11. 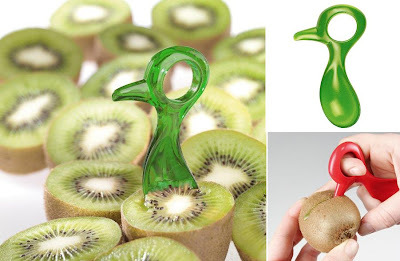 Collection of 'Useful Kitchen Gadgets For Your Kitchen' from all over the world. 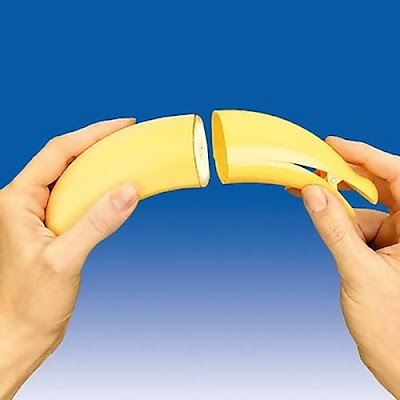 Banana Opener: Its a banana peeler, yes you got it right; this tool is especially designed for kids. Strawberry Pincher: It is for those little green leaves. Kiwi Scoop: Its more than just a scoop; the tip is designed for scoring the skin, with a quick counterclockwise twist you have the fruit in two halves and its ready to eat with its very own unique scooper. Kiwi Guard: It's a transparent case that covers the kiwi and also holds a handy cutlery set to prepare and eat the kiwi whenever you want. 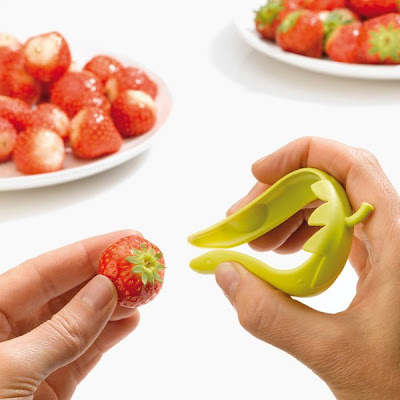 Slice and Catch: It can slice several vegetables and fruits and hold them its cup. 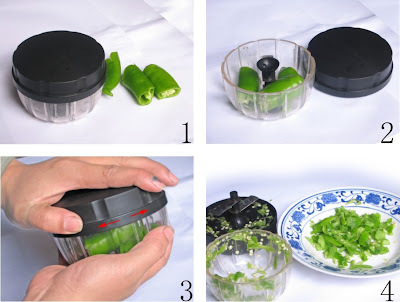 All you need to do is simply press the cup on the desired vegetable or fruit. 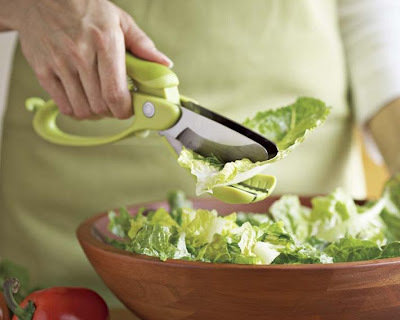 Salad Cutter: You simply place the ring of the salad cutter around the center, push and then turn it in a clockwise direction; it easily separates the lettuce leaves. 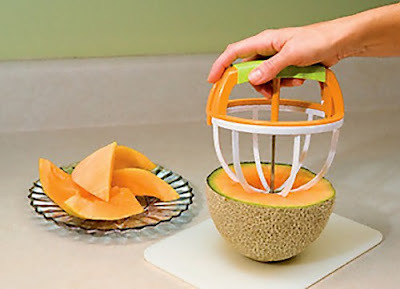 Melon Slicer: With this cool gadget you can quickly and easily make the melon into halves, scoop out the seeds and take out ready to eat slices. Banana Guard: This practical case for bananas comes with an integrated cutter and can be stored completely flat when not in use. Banana Holder: It holds on to the open end of a sliced banana to minimize the air contact and retains its freshness for longer duration. 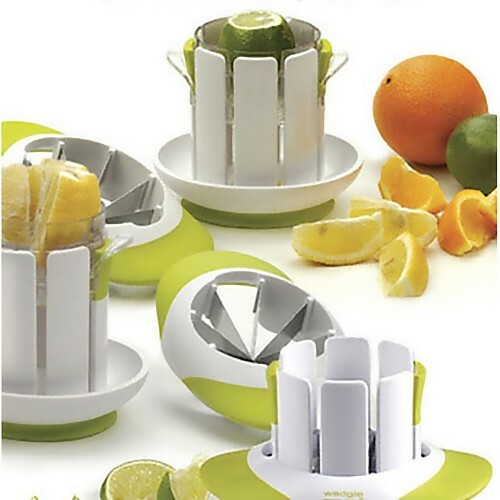 Melon Cutter: Just simply press the special easy-grip handle, twist into the melon and voila, it's ready! RSVP Fruit and Vegetable Slicer: This gadget can quickly and effortlessly wedge variety of fruit and vegetables. Twist Vegetable Chopper: Its compact and quite, place some chilies into the container then hold the top and bottom with both hands and give a few quick flicks with the wrists. 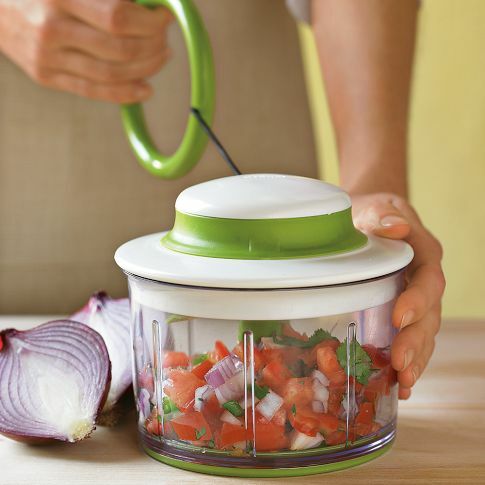 Chef'n Veggi Vegetable Chopper: Simply pull the ring handle to activate this hand-powered food processor. It preps everything from onions and garlic to baby food, fruits and nuts. 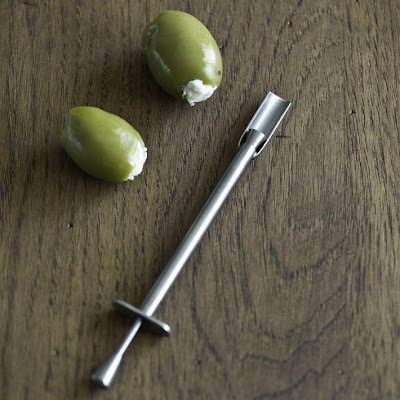 Olive Stuffer: It's an olive stuffer that lets you fill large pitted olives with stuffing of your choice using the plunger mechanism, place it into the pitted olive, and release. Salad Scissors: A cool tool for fast-track preparation of salads directly into a serving bowl as well as for general food prep. Don't miss to check out "Useful Kitchen Gadgets For Your Kitchen - Part: 1| 2| 3| 4| 5| 6| 7| 8| 9| 10| 11." Creative and Cool Comb Designs. 23 Creative and Cool Room Dividers. 5 Creative And Cool T-Shirt Packaging Designs. 15 Coolest Bathroom Gadgets For You - Part 3. 15 Unique Salt and Pepper Shakers - Part 5. 15 Stylish and Modern Office Supplies - Part 2. 15 Creative Docks for iPhone, iPod, and iPad.